Group lesson of 2-1/2 hours per day per 5 days (Monday to Friday). The course’s quote includes :video, final competition and prize giving. From 26.12 to 06.01 from 11.00 to 15.00, the private lesson cost is Euro 50.00, + Euro 8.00 for each more people. Advanced payment is required for both courses. Lessons will take place in any weather conditions. The cancellation of the lessons will be accepted only if given within the previous day. Special rate for groups or ski clubs. Seasonal ski course made for your racing skill, on every weekends. 10 collective lessons (also not consecutive).Reserved for kids between 4 and 14 years old. The ski lessons will be ran every Saturday and Sunday for two and half hours per day from 10,30 to 13,00 (Saturday 09.03 not included). The courses begin on 12.01.2019 and end on 30.03.2019. The Anzi Ski School organizes a course of Performance Ski Training for all children interested in improving their skill in ski racing. Classes will be held every Saturday afternoon and during holiday periods (St. Ambrose, Christmas, Carnival) from 14.30 to 16.30. 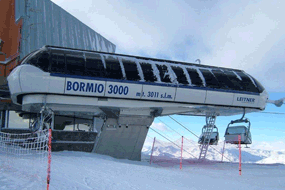 Sneak preview of the Bormio ski pass prices. We’d like to remind you that if the weather conditions will give us the chance, you might already be on the slopes from November! View Rates.